Monday was the first day of fall, and, like clockwork, it rained. Boom. On Sunday I was complaining about the 90 degree sunshine, and then it was gone. Did you notice–it’s October, people! October! I can hardly believe it. I might not even notice, if it weren’t for the slight chill in the air. We’ve had unusually nice (i.e. dry) weather in Portland, temps around 70 this week and no rain to be seen. Unheard of. Where are the drenching downpours, the endless days of nothing but gray? They are coming, I know they are. But for now, cool, crisp, sunny Fall! 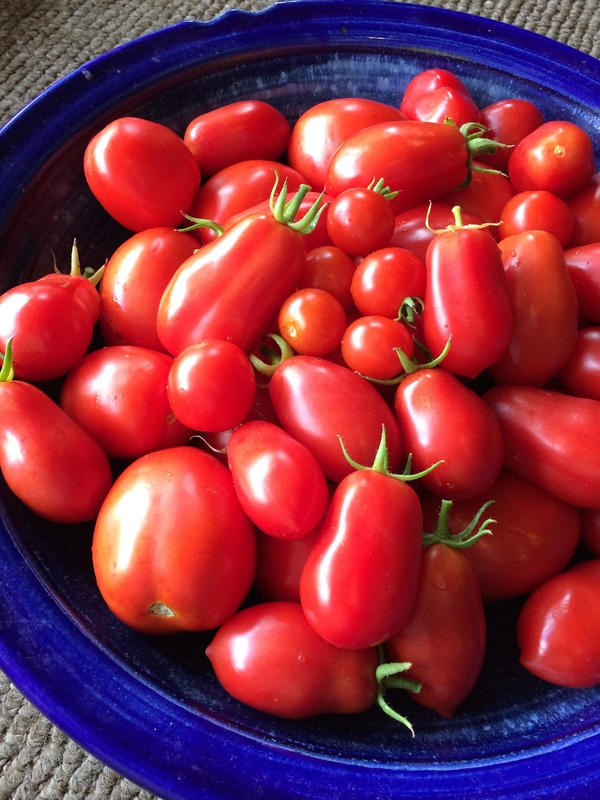 Thanks to the lack of downpours, my tomato plants have survived my neglect, and I was able to harvest another 30+ romas yesterday. Yay, garden tomatoes! 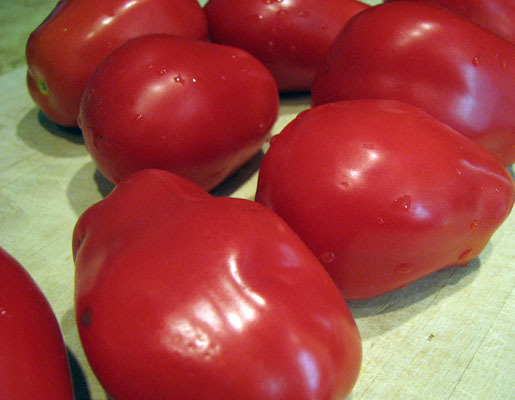 So, a bit later than expected, but apparently on time with my local seasonal weather, here is my “last blast” tomato post, with two recipes for that bounty of gems you may have sitting on your kitchen countertop . . . I clipped this recipe from our local newspaper’s food section a few years back–you know, back when we still got a paper newspaper. At some point my husband stopped reading it, and I got tired of the stacks of paper recycling piling up, and so, no more paper delivery. I get all my news online anyway–part of the trend that is slowly sinking newspaper companies across the country. Sad, but true. Every once in a while I do miss the paper-in-the-morning-with-a-cup-of-coffee thing, but really I only miss the food section–which only came once a week–and had started to go seriously downhill anyway. Ahh, but I digress. This post is about salad. 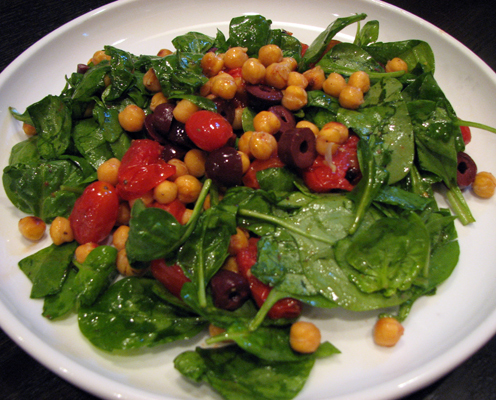 Quick, healthy salad, bursting with flavors.